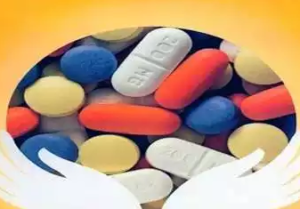 India may have emerged as a key supplier of generic and affordable medicine for the world market, but it has an “overwhelming dependence” on China for the raw material required to produce these drugs, industry association Assocham said. Indian companies depend on China to supply them with the main raw material in drug making — known as Active Pharmaceutical Ingredient (API). The dependence is to the extent of over 65 per cent, an ASSOCHAM-RNCOS joint paper said. Though the government has taken steps like withdrawal of exemption in customs duties , imports worth Rs 13,853 crore in 2015-16 or 65.29 per cent of the total imports of Rs 21,216 crore are not sustainable, the association said. “This is all the more disconcerting in the face of louder narrative against reducing trade gap with China which is well over USD 51 billion,” it said. The API is the organ by which active pharmaceutical ingredients are manufactured from raw materials through both chemical and physical means. Rapid growth in new medical technologies is spurring the demand for APIs worldwide today with the increased import of raw pharma ingredients from the emerging markets. “India’s rising dependence on imports from China for many APIs that go into the making of a number of essential drugs has been cited as an area of concern for the policy makers”. “Over-dependence on China for APIs is likely to affect the bulk drug manufacturing sector, and subsequently have an impact on our population in plausible scenarios of drug shortages brought down by interrupted imports from single source country”, ASSOCHAM Secretary General Mr D S Rawat said, adding over-dependence on such a crucial raw material on a single country is also not advisable from India’s overall strategic interests as well. One of the main reasons for huge API imports from China is low cost of its manufacture and subsidy in China while India levies negligible import fee . “The import fees should be increased in line with other counterparts”, the paper said. The chamber said there is presence of multiple regulatory authorities for the industry. The API manufacturers have to approach different authorities for renewal of licences that become a tedious affair. “Therefore a single committee of various government departments should be formed to regulate the industry through a single window and audit of plants”. Besides, the Centre can focus on development of mega parks for APIs across the country. These parks should be provided with common facilities such as effluent treatment plants, testing, power plants, IPR management and designing. These facilities should be maintained by special purpose vehicles. Several other countries like China provide incentives and subsidies for promoting the manufacture of essential pharmaceutical raw material. This significantly reduces their cost of production and ability to supply API to the world market at a huge discount to the global prices. This discourages new domestic investment in the sector.